Large tract off Lighthouse Road is now preserved in perpetuity. 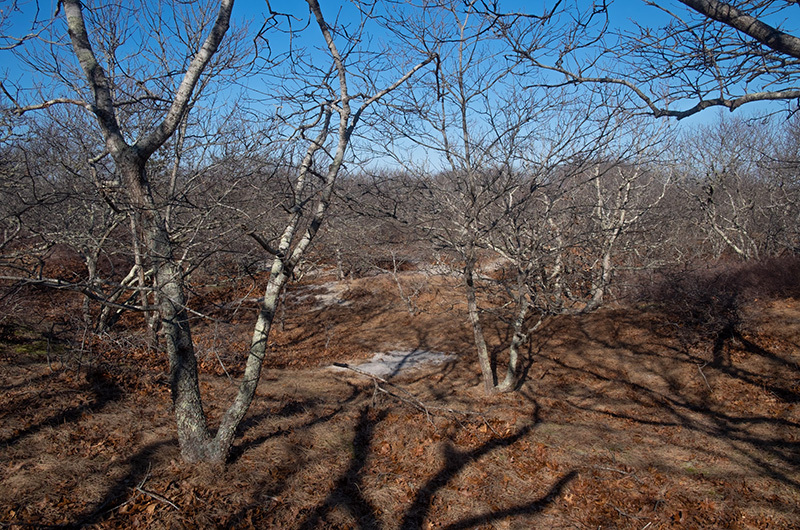 With the purchase of two adjoining pieces of land off Lighthouse Road in Aquinnah, the Martha’s Vineyard Land Bank has added nearly 40 acres of pristine rolling hills, stone walls, wetlands and forest to its conservation holdings in the scenic up-Island town. Last July the land bank bought 13.7 acres of land from the University of North Carolina at Chapel Hill for $800,000. Less than a week later, the land bank closed on 24 acres formerly owned by Arnold Zack for approximately $600,000. The properties are adjacent to one another. 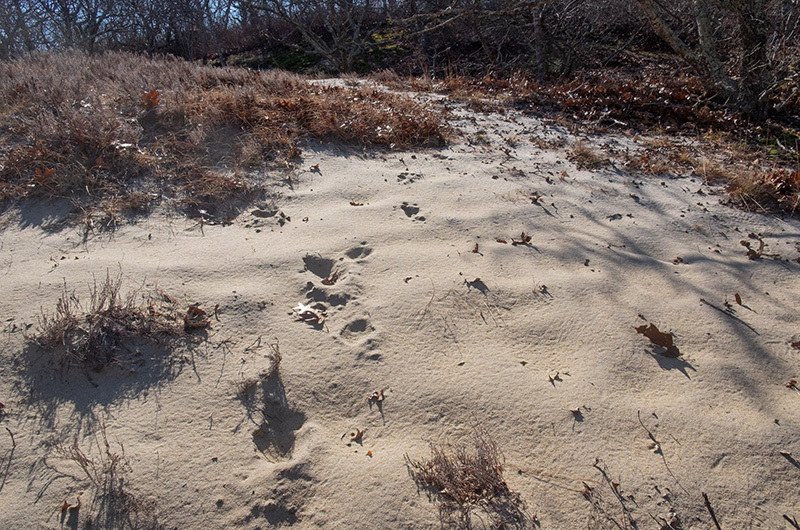 The land is about 500 feet away from a different land bank property called the Gay Head Moraine, an approximately 100-acre parcel of conservation land that includes hiking trails and scenic vistas of Vineyard Sound and Menemsha Hills. Mr. Lengyel said the land in the recent purchases closely resembles that of the moraine. Following the purchase last summer, the land bank began surveying the property and mapping future trails. “The ecologist has found many interesting things there already,” Mr. Lengyel said. He said he hopes the trail system will be open to the public within the next two years. The two land bank purchases aren’t the only properties that have been set aside for conservation along Lighthouse Road this past year. At the Jan. 23 special town meeting, Aquinnah voters accepted a gift of approximately two acres formerly owned by Hanna Malkin and located just west of the new land bank properties. Ms. Malkin, a longtime summer resident who used to offer her pool to Aquinnah children for swimming lessons, donated the parcel on condition that the land be maintained in its natural state in perpetuity. The Malkin property offers one of the only unobstructed views of the Vineyard Sound and Elizabeth Islands from Lighthouse Road. At the special town meeting, voters expressed excitement about preserving the view. In 2016 Ms. Malkin also donated the 13.7 acres of land to University of North Carolina that now are land bank property. At the special town meeting, Mr. Madison promised to write Ms. Malkin a letter expressing the town’s gratitude for her generous land donations. Although Ms. Malkin is now too old to travel to the Vineyard, the land bank and town properties ensure that her presence along the rare stretch of Lighthouse Road will endure. And soon Vineyarders of all stripes will get to experience it. “When you’re there, you really feel like you are somewhere special,” Mr. Lengyel said. This story has been corrected from an earlier version that reported incorrectly on land in Aquinnah donated for the Smalley’s Knoll affordable housing project. The donor of that property was Helen Mays, not Hannah Malkin. This is wonderful news. Whenever possible preservation of these “quirky” properties should be a priority for the land bank over less intriguing land masses. Once developed it is impossible to return these places to their natural, post-glacial state. I’m glad they do the preservation work they do. Having public access to geologically unique properties is one of the things that makes living here moderately tolerable.